A Missoula business suffered extensive damage in a fire early Friday, Fire Chief Jeff Brandt reported. Flames were coming out of the basement of Farrside Signs, 1526 South Ave. W., when firefighters arrived and trees outside the building had ignited. An adjoining garage also was burning. 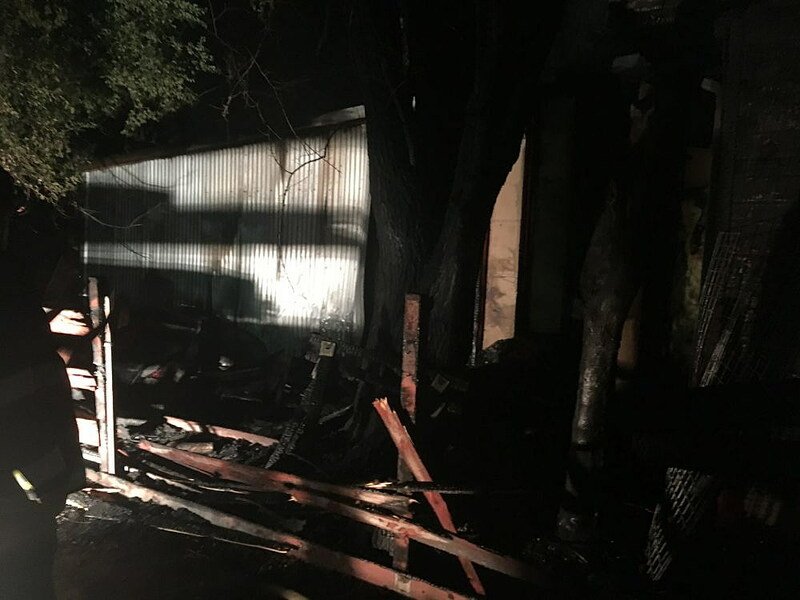 “Our firefighters did an outstanding job,” Brandt said in a news release about the 2:49 a.m. fire. He estimated damage to the property at $175,000, with another $200,000 in property saved. Two residents of the basement escaped the fire; one suffered a minor injury and was treated at the scene, according to Brandt. Firefighters quickly knocked down the flames, he said, then searched the building. Fifteen firefighters responded, as did four engines, a ladder truck, ambulance, and a host of other police and fire officers. Agencies at the scene included Missoula Fire, Missoula Police, NorthWestern Energy and Missoula Emergency Services. Fire units remained on scene early Friday to help the Missoula Fire Prevention Bureau in investigating the origin and cause of the fire. The fire was reported by a passerby, who called 9-1-1 to say a tree was on fire near the intersection of Russell Street and South Avenue.